The Surgeons of Hope Foundation (SoH), is a New York City, NY based nonprofit established in 2001. Our organization aims to provide every infant and child with a damaged heart an equal opportunity to receive life-saving surgery. It is an unconscionable loss that a child dies anywhere in the world from a heart defect (congenital or acquired) due to lack of resources for proper care, when a child living in the most remote area of the U.S. or Europe with the same heart defect would be easily cured. Surgeons of Hope seeks to narrow that disparity by living up to its motto: ”It’s Not What We Bring. It’s What We Leave Behind”. Surgeons of Hope began this mission with pilot programs in countries like Cambodia, Mozambique, Senegal, and Afghanistan. In 2008, our team decided to focus our efforts in Latin America. Surgeons of Hope established a program in Nicaragua, the second poorest country in the Western Hemisphere. 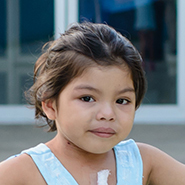 Since 2008, we have constructed an advanced cardiac center, provided training to local medical teams, screened thousands of patients and operated on close to 800 children in Nicaragua. Our work in Costa Rica started in October of 2014, when our President, Dr. da Cruz was invited to travel to San Jose to help enhance an existing surgical program at the Hospital Nacional De Ninos (National Children’s Hospital). Since our intervention there, we are proud to report that hundreds of patients have been operated on! Visit our blog to get the latest news on Surgeons of Hope. Meet the partner organizations that make our mission possible. We want to hear from you! Get in touch with us here.